While designing the urban spaces of the national award winning Connect Kendall Square Master Plan Competition RBA became aware of the extraordinary concentration of creative young adults who live, work and study within this district of Cambridge MA and are engaged in innovative research and development in the digital and biotechnical fields. RBA responded to these contemporary ways of thinking and life styles by designing site furniture that responds to the creative desire for spontaneous mental and physical play as a fundamental pre-requisite of creativity for children and adults in the 21st Century. 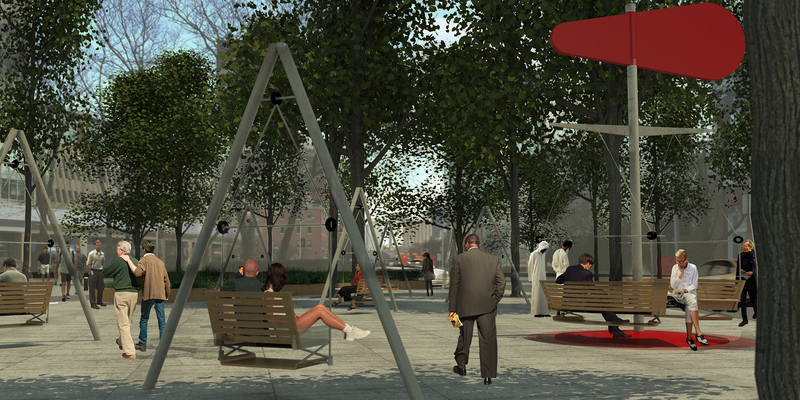 RBA pursued the idea of play in the design of an ensemble of furniture for Point Park that is one of the proposed open spaces in the Connect Kendall Square proposal. In this park the furnishings are designed not as static artifacts set within this public space but as instruments to be used by participants in the space — students, teachers, researchers, workers and tourists – to play kinetically, imaginatively and socially with the furniture. The furniture is a tectonic family of A frames. 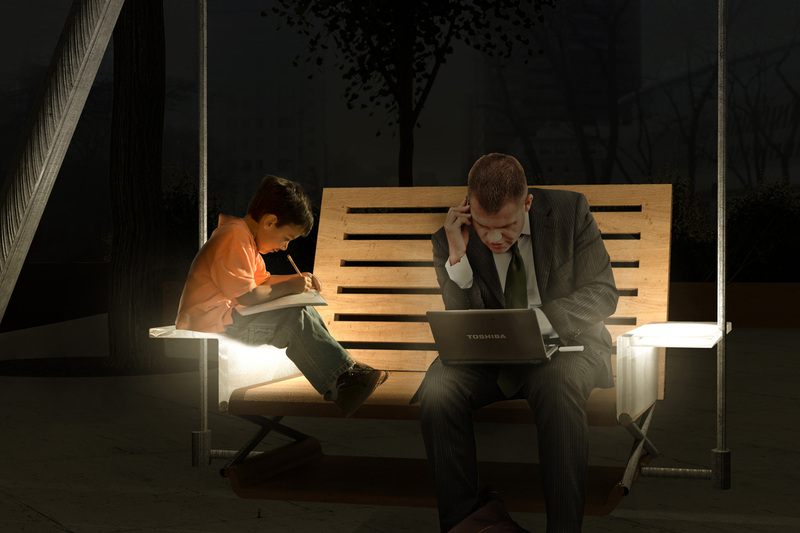 The smaller of these triangular structures support bench swings equipped with LED lighting. A larger A frame supports a carousel sitting structure that is crowned with a large wind vane. This sail augments the rotation mechanism of this urban instrument and serves also as an icon for the Kendall Square District.